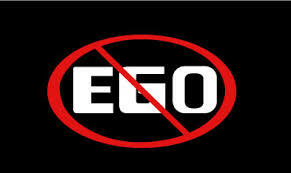 The Hurting Of The Ego - Something New Everyday! Almost everyday or every second day we come across a situation when someone says something to us which is not very pleasurable or we chose to perceive it to be so. In either case, we feel insulted and get upset as a result. In some cases we react and display our feelings. In some, we don't. In either case, the result is a depreciation (decrease) in our happiness index. Why does this happen? It's because you have created, attached to and identified with an image of yourself in your mind that does not match with how the other sees or perceives you, as a result of which you believe you have been insulted and you get upset. As long as people's perception of you matches the image that you have created inside your mind of yourself, you are content with them, but as soon as the opposite happens, even if it is to a very small extent, you become disturbed, because you are attached to that image. The more the attachment, the greater the hurt, the disturbance or reaction. You could examine this phenomenon very closely, taking place inside yourself everyday. This kind of attachment mentioned above is called ego. That's why the phenomenon explained above is called in common language 'the hurting of the ego'.